Following this spring’s discussions with eight Swedish and two Finnish municipalities, Northvolt has, after careful consideration, decided to begin consultations for the establishment of the factory in Västerås and Skellefteå. The decision to proceed with two municipalities contemporaneously is due to the ambitious schedule, where the necessity of receiving an environmental permit quickly is essential to keep the timetable. Both Skellefteå and Västerås have excellent abilities to meet the requirements that are fundamental to the establishment, such as access to land, energy, and infrastructure. Other relevant factors include the ability to attract skilled labor, potential for developing a local industry cluster of expertise around batteries, and overall commitment from local decision makers and businesses. "After an in-depth analysis of ten strong candidates for the location of Northvolt's first factory, we have agreed that these two locations are the most favorable alternatives. Electrification and storage of renewable energy are key to a carbon neutral society, and we have witnessed great enthusiasm for the project during our dialogues with representatives in both Västerås and Skellefteå", said Peter Carlsson, CEO of Northvolt. 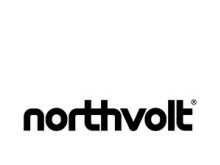 Northvolt’s planned construction requires a specialized permit, and the planned operations require an environmental assessment. The application process includes a local consultation process, which will begin during the fall. During the consultation process, environmental impacts and potential risks associated with the project will be analyzed. The report from the consultation process is part of the required material for the environmental permit application. "We are moving at a very fast pace, which is necessary if we want to take on a leading role in the European market and meet the growing demand for batteries. The possibility for us to achieve a professional and timely environmental assessment is crucial. That is the reason why we will proceed with a parallel consultation process together with two municipalities”, said Peter Carlsson.